Crazy about all things pumpkin spice and wondering how to get even more of it in your life? 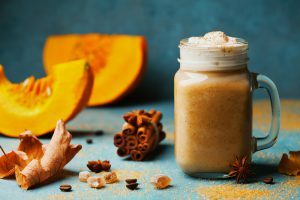 The pumpkin spice mix itself isn’t just one thing but a combination of amazing spices that come together to make the ultimate fall scent and carry with them a lot of nutrients. Now that you have your mix and need some inspiration of what to do with it… we’re here to help. From breakfast to your shower, we know a few ways to implement the spice mix that may surprise you. First add the milk, puree, and sugar into a saucepan over medium heat, don’t boil it. Once everything is nicely mixed, take the saucepan off the stove and add the coffee, spices, and vanilla. Serve in your favorite mug with a dollop of whipped cream and an extra sprinkle of pumpkin spice on top for maximum enjoyment! Another fall staple, the pumpkin pie has been upgraded from boring to having a little kick, thanks to the use of extra spices. 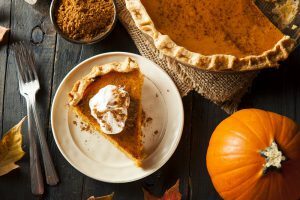 In a regular pumpkin pie, you just add cinnamon, ground ginger, and nutmeg into the recipe, but we say you should add the cardamom and clove to bring out new flavors in the dessert. If you want a little latte hint in your pie, add some instant coffee powder, approximately 1 Tablespoon espresso powder within the batter if you’re feeling adventurous. Once baked, sprinkle the pumpkin spice blend on top and enjoy! cholesterol making them a better option than eggs or regular cereal. When you’re preparing this meal just add the spice combination while you’re cooking to ensure the spices seep into the oats that you can then dress up with pumpkin seeds, chia seeds, flax seeds, a little brown sugar or a drizzle of agave. 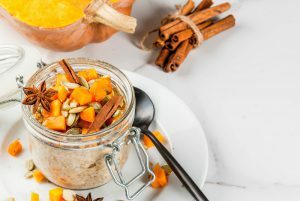 Tip: when boiling the oats, substitute water for unsweetened almond milk to give it a creamier consistency or even add a couple of tablespoons of pureed pumpkin to bring out the flavors. Breakfast is the most important meal of the day after all! 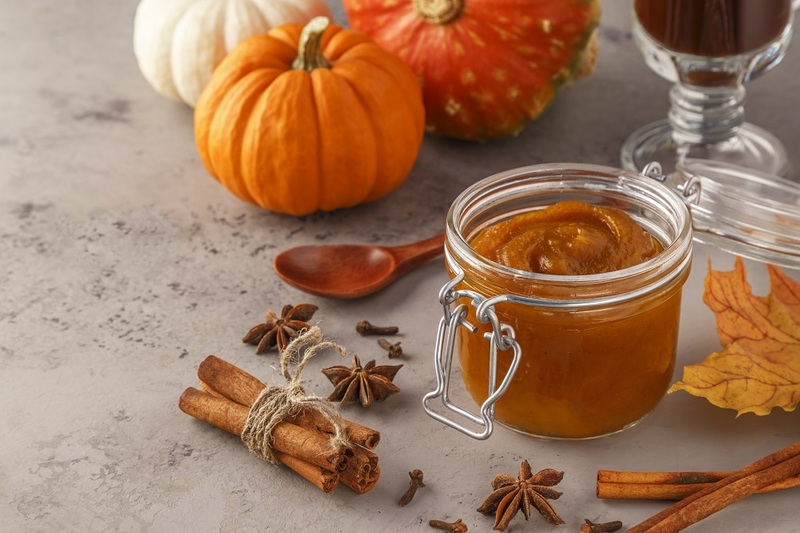 If you’re over the taste of pumpkin spice everything but love the smell, we should recommend going for a face or body scrub. 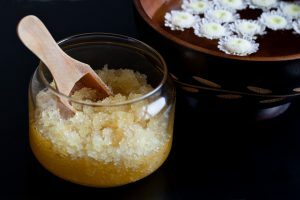 A homemade scrub might seem like a lot of work, but it’s simpler than you’d think and you probably already have all the ingredients at home! Start with a regular container that you don’t mind keeping in the bathroom; a mason jar works great. Before you combine everything, make sure the coconut oil is softened either on a stove or microwave to help it mix. Once everything is prepared, mix it thoroughly either in a separate dish or within the container, and you’re done. The brown sugar helps exfoliate your skin, and the coconut oil will give your skin the moisture it needs during the dry months. Note: this also makes a great personalized gift if you’re looking for DIY ideas! If you’re like some who prefer the smell over the taste of pumpkin spice everything, a homemade scent is just for you. The beauty of a homemade scent is that you know exactly what’s in it and can guarantee there are no harmful chemicals hidden behind the label. To create your pumpkin inspired scent all you need is a few essential oils not unlike the spices used for the spice mix. Mix the essential oils in the spray bottle with the water and shake before each use so you can enjoy the scent of pumpkin spice without having to cook or bake to get it! As the weather cools and the leaves turn orange, the season becomes all about the pumpkin spice. Be ready and take your obsession to the next level without breaking the bank when you shop via dubli.com. There are many ways to save and the ability to earn Cash Back, so you know you’re getting the most from your money. Happy pumpkin spicing and happy saving!